Just finished and still on the easel. Absolutely fantastic this one Paul! Really like it. 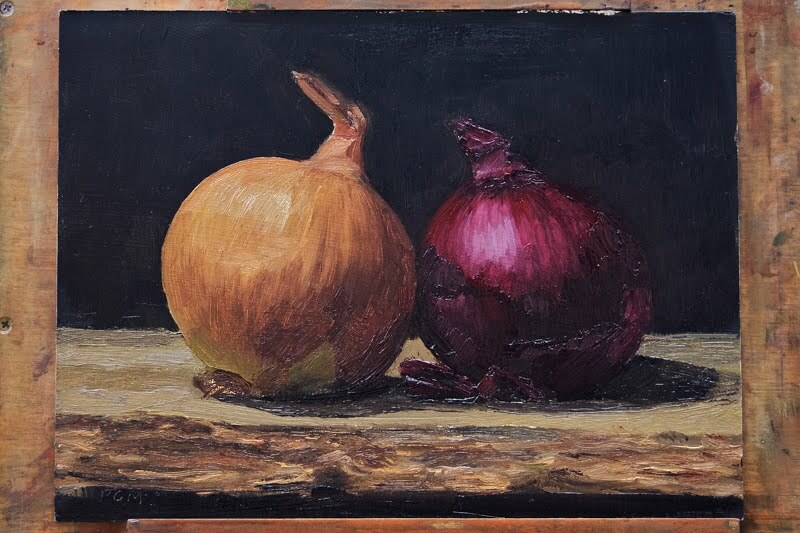 You did an amazing job of rendering the layers of the onions and their translucency (if that's even a word).